"A Comedy About Eight Friends Who Return To The Best Summer Of Their Lives!" Uncle Lou, played by Alan Arkin, is the wizened old guide of Canadian summer camp Tamakwa. One fine summer day as he is leading a group of campers on a nature hike, he realizes that the golden age of summer camps is over. Most of his young charges are listening to headphones and Uncle Lou can't seem to stir in them any awe or respect for the great Canadian Northwoods. He decides it is time to pack it up and quit the camping business. 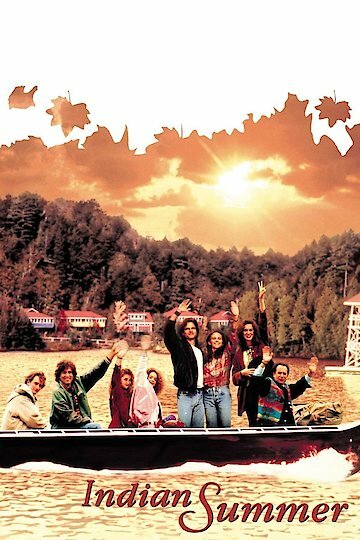 Before selling and leaving the camp for good, however, Uncle Lou decides to invite a group of campers from Tamakwa's heyday for one last adventure. The campers, now in their 20s, all have adult issues of their own to work through in the idyllic setting of their childhood adventures. One of them is struggling with the sudden loss of a spouse, some are working through insecurity issues, and a few of them have old scores to settle and old flames to rekindle. Good old Uncle Lou is there to help guide them through these troubles as he was there to help them in their youths. Indian Summer is currently available to watch and stream, download, buy on demand at Amazon Prime, Amazon, Vudu, Google Play, iTunes, YouTube VOD online.